Bloomfield Hills Replacement Windows | Bloomfield Hills Wood Windows | Bloomfield Hills Window Replacement Companies | Bloomfield Hills Storm Windows | Bloomfield Hills Wood Replacement WindowMcGlinch & Sons CO.
McGlinch & Sons, Co. Home Improvements is the most outstanding window replacement company of all window replacement companies because we treat you like family. McGlinch & Sons are personable and supply replacement windows that can offer you up to 74% more energy efficiency with our storm windows, wood windows or replacement windows. We offer the top of the line products in wood replacement windows, storm windows, and replacement windows that have beautiful curb appeal and easily maintained. McGlinch & Sons has been a family owned business since 1917 and provides proficient technicians that are competent at installing wood replacement windows, and storm windows. Contact McGlinch & Sons and be the next satisfied client in Bloomfield Hills to experience our unrivaled service. Bloomfield Hills, Michigan is located about 20 miles northwest of Detroit in Oakland County with a population of 3,869. Bloomfield Hills is surrounded by Bloomfield Township. Bloomfield Hills is filled with history with many historic sites on the national registry. Bloomfield Hills economy consist of headquarters for Acme Group, Great Lakes Filters and Fairway Products. Bloomfield Hills has the third highest income for a municipality with over 1,000 households in the country. McGlinch & Sons wants our durable innovative replacement windows to not only look remarkable but reduce energy cost. McGlinch & Sons replacement window options are constructed to last and withstand the harshest of Midwest winters. We offer wood replacement windows, storm windows or wood windows with a large variety of options and sizes. 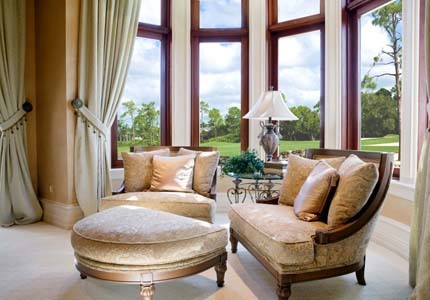 McGlinch & Sons offers extraordinary wood windows, storm windows and replacement windows. McGlinch & Sons delivers well-made, dependable, and sophisticated wood replacement windows and storm windows to all Bloomfield Hills clientele. We want you to feel like a part of our family when you deal with McGlinch & Sons. You can count on us to give you expert skill and provide service and installation of your replacement windows in a timely fashion. Call McGlinch & Sons today at (313) 278-2777 to find the storm windows, wood windows or replacement windows that will enhance the exquisiteness of your Bloomfield Hills home. Visit us online to receive a Free Estimate for your Bloomfield Hills home and to view our special offers!